This was an article I was particularly difficult to write. It was a process to write write write, delete delete delete. Because nothing I can write will do justice to the woman today I will honor. In the year that celebrates 130 years after his birth. Both my choices have changed the world in some way, made ​​history, our history. But I will focus only on that revolutionized the fashion world, revolutionized the way women were viewed, and how they saw themselves. Coco inspires me not only me, inspires millions of people, is admired by all who work in fashion or just love fashion. I speak not only because she is the founder of one of the most recognized brands in the world. Chanel. She inspires me by her courage, perseverance, by hes strength. And we will admit that the times were not easy for women who were born at that time. Coco was born in 1983. The women were submissive role. They dressed and acted according to a rigid standard of manners. A standard that dictated that women should be totally dominated by men. Mostly women who came from the same background as her. Think again who thought Coco was born into a rich family, instructed. Her family belonged to a kind of middle class. Hers father, Albert Chanel was marketer and her mother, Jeanne Devolle was a housewife. Money was not something that abounded in his family. Had 4 Brothers. After the untimely death of his mother. Coco and his brothers were arranged by his father. Due to his father’s profession and to its inability to create all their children, put the girls in a boarding school while the boys went to work for a farm. In 1903, already twenty, Gabrielle left the school and tried to look for a job in commerce and dance and also made attempts in the theater, where he rarely had major roles due to her stature. With her ​​figure, she attracts and lives with Etienne Balsan, one socialite and heir of a famous textile factory that manufactured the time the army uniforms. But the romance only lasts a few months. Later In the early ’20s, Coco met and fell in love with a Russian prince poor Dmitri Pavlovich, who had escaped with his family from Russia, then the Soviet Union. His relationship with Pavlovich inspired her to design clothes with embroidery of Russian folklore. During this period, also met many important artists such as Pablo Picasso, Luchino Visconti and Greta Garbo. 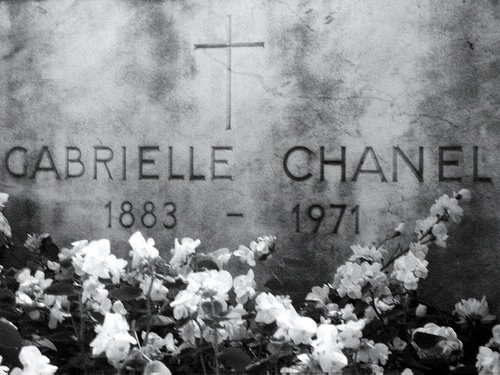 In 1920, he also created the scent that would convert a big celebrity all over the world, Chanel Nº. 5. The name referred to his lucky number. After this scent came the Nº. 17, but this has not had the same success as the Nº. 5. Another 1920’s revolutionary design was Chanel’s little black dress. During World War II, closed the house and was involved romantically with a German officer. Reopened it in 1954. At the end of the war, the French disapproved romance and stopped attend her house. In this decade, so she had financial difficulties. 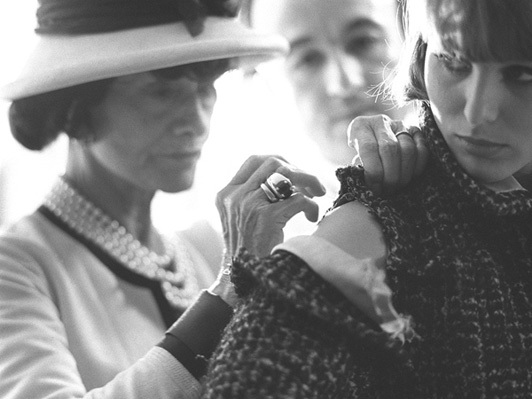 To keep open house, Chanel started selling her clothes to the other side of the Atlantic, and lived in Switzerland. Due to the death of former U.S. President John Kennedy and the admiration of former first lady Jackie Kennedy, she started appearing in fashion magazines with the creation of their tailored suits (jackets, suits and shoes). Then he returned to reside in France. 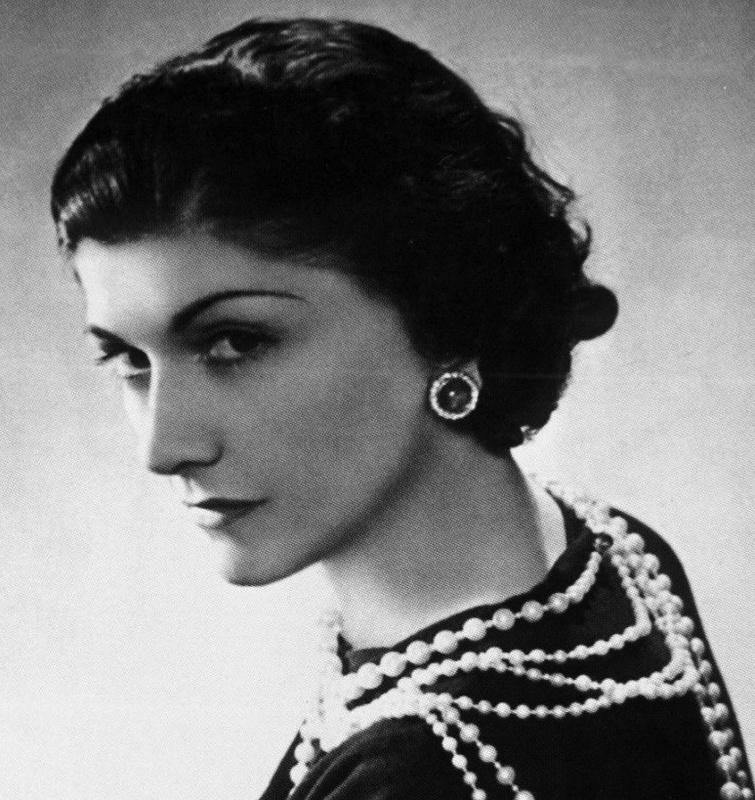 biography of the designer, with French actress Audrey Tautou playing Gabrielle Chanel. The world has lost one of the most inspiring women that existed. The woman who became timeless. The woman who inspires me. And although I do not like the direction the brand has taken these last few years, will always be one of the best things she has left in the world. “Classique” – From runway to fragrance.